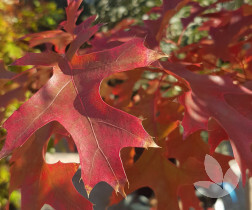 A highly ornamental, fast growing, deciduous form of oak which has an open, wide spreading habit. 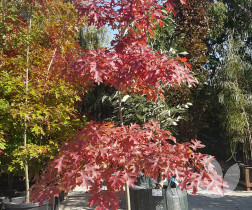 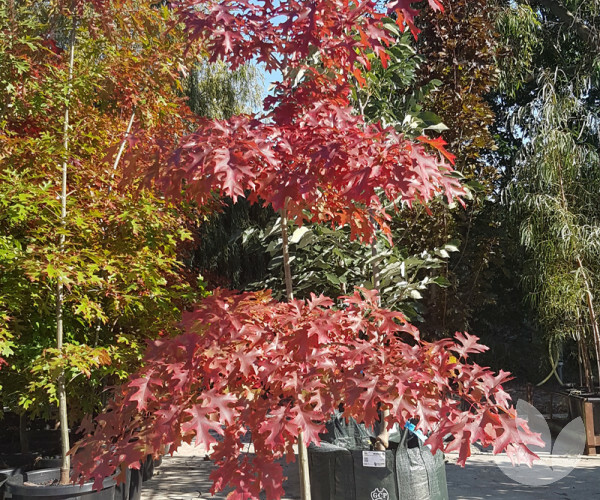 It is often mistaken for the Pin Oak, however its form is more rounded and the foliage is larger showcasing a brilliant display of colour in autumn when the leaves turn an intensely vivid scarlet colour before falling. 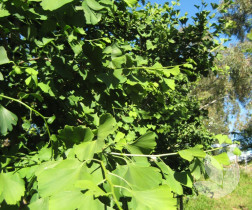 Spring sees the unfurling of glossy green, deeply lobed new foliage and acorns produced can take up to two years to mature starting off green and turning pale brown with a deep cap covering them by half. 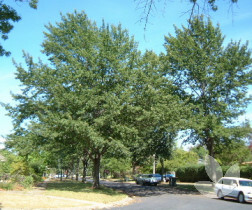 The bark of the young tree is relatively smooth and grey, darkening with maturity and forming irregular broad ridges and narrow furrows particularly near the base. The trunk has a tendency to flare out at the base, so a good amount of space is recommended. 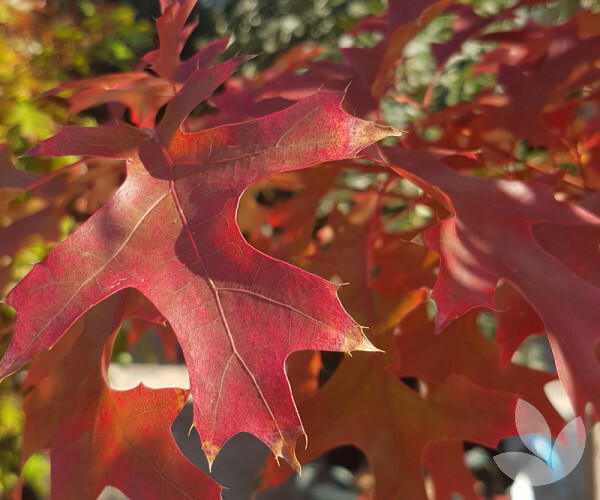 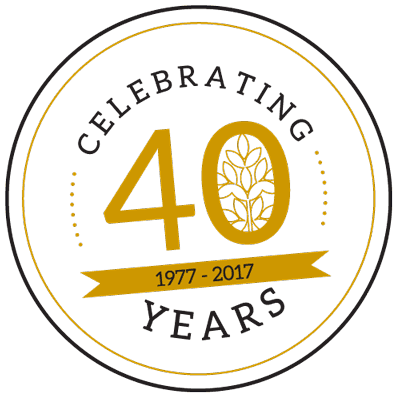 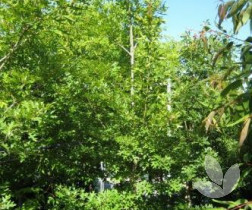 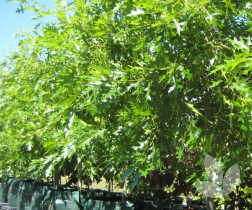 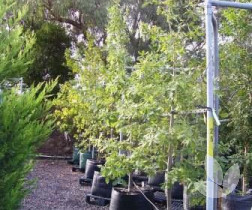 Overall, this oak makes an excellent shade tree and has been known to adapt well to a variety of sites, performing particularly well in drier sites with sandy soils. 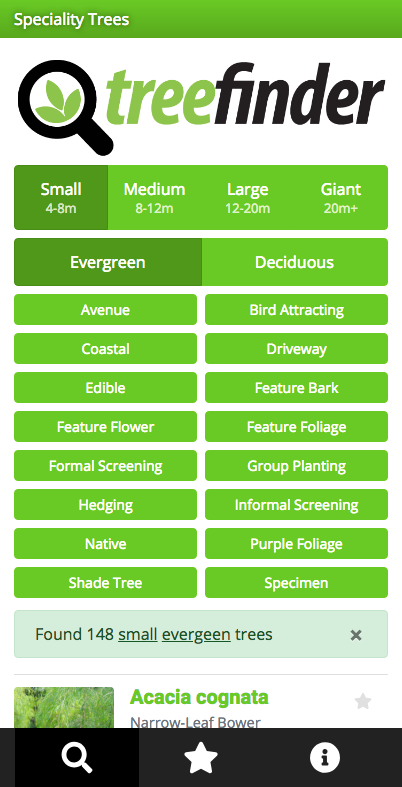 A great feature tree. 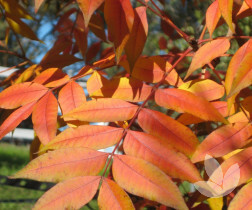 Can also be used in street plantings and in parks and gardens.